Five days until the fireworks! It was a fine evening for trick-or-treating, and then the very next day the mist rolled in making Knockholt look like the setting for Silent Hill. 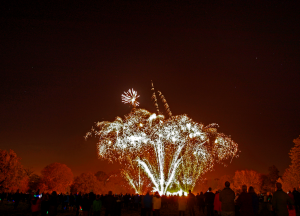 Let’s hope the spookiness is behind us as we look forwards to our firework display this weekend! Make sure you get your tickets today – you save money in advance! Full details are available here.